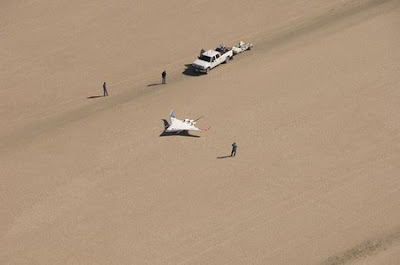 NASA and Boeing have joined to develop the most advanced RC (radio controlled) model plane called the Skyray 48. This prototype could be the future of commercial aviation. The RC plane will have less power consumption and fewer emissions, while increasing carrying capacity and speed compared with current cargo and passenger aircraft. 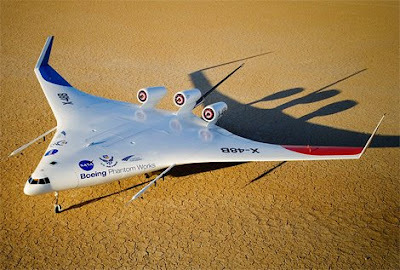 One of the latest cutting-edge experimental aircraft, or X-Planes, the X-48B BWB is a collaborative effort of the Boeing Co., NASA's Fundamental Aeronautics Program, and the Air Force Research Laboratory. 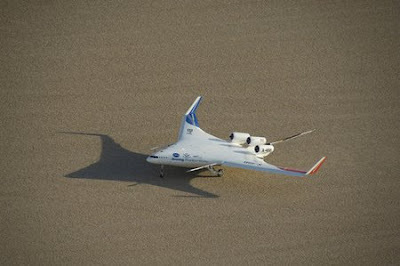 The 21-foot wingspan, 500-pound, remotely piloted plane is designed to demonstrate the viability of the blended wing shape. 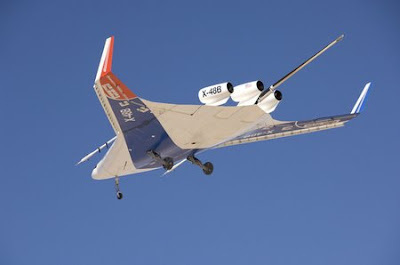 After completion of six flights, the X-48B team began a four-week maintenance and modification period during which removable leading edges with extended slats are being replaced with slatless leading edges in order to mimic a slats-retracted configuration. The change requires a software update to the flight control software. In addition, the team is removing and replacing all of the aircraft's flight control actuators for maintenance purposes. 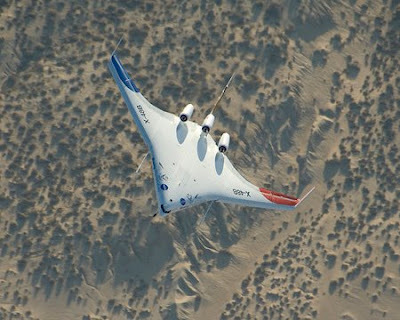 The Subsonic Fixed-Wing Project, part of NASA's Fundamental Aeronautics Program, has long supported the development of the blended wing body concept. 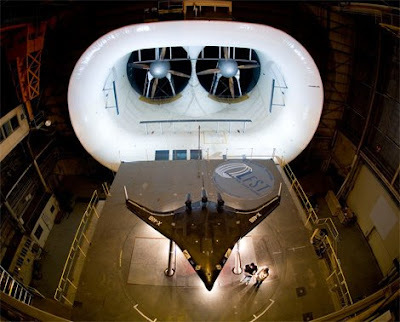 It has participated in numerous collaborations with Boeing, as well as several wind tunnel tests for different speed regimes. The team is focused on researching the low-speed characteristics of the design and expanding its flight envelope beyond the limits of current capabilities. 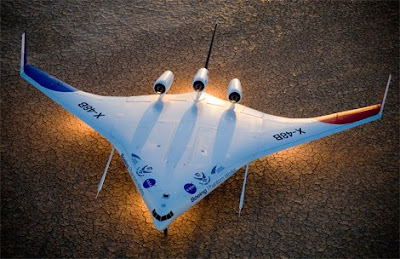 The composite-skinned, 8.5 percent scale vehicle can to fly up to 10,000 feet and 120 knots in its low-speed configuration. The aircraft is flown remotely from a ground control station by a pilot using conventional aircraft controls and instrumentation, while looking at a monitor fed by a forward-looking camera on the aircraft. Up to 25 flights are planned to gather data in these low-speed flight regimes. 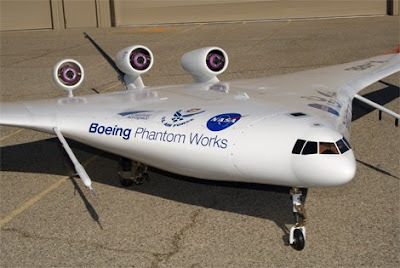 Then, the X-48B may be used to test the aircraft's low-noise and handling characteristics at transonic speeds. 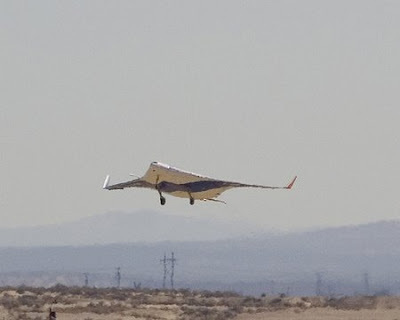 So far, so good as the Skyray 48 team works through the late summer heat of the Mojave Desert as they continue blazing a trail with this futuristic aircraft design.